Here’s what top experts in ten different countries say about how to brush your teeth. A comparison of advice about how to brush your teeth from dental associations of ten different countries has found a huge range of recommendations. This is likely because there is no strong evidence about the best method, which may help explain why dentists can be remarkably inconsistent in what they recommend. “The public needs to have sound information on the best method to brush their teeth. If people hear one thing from a dental association, another from a toothbrush company and something else from their dentist, no wonder they are confused about how to brush. 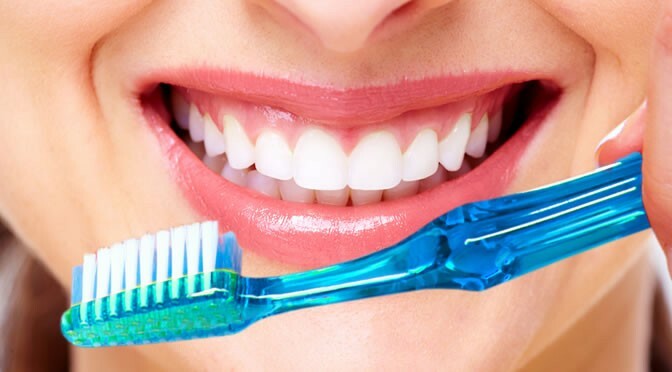 The most frequently suggested way of brushing your teeth is to move the brush back and forth in small motions. The review, published in the British Dental Journal, found no evidence that this is any better than basic scrubbing (Wainwright & Sheiham, 2014). “Dental associations need to be consistent about what method to recommend, based on how effective the method is. Most worryingly, the methods recommended by dental associations are not the same as the best ones mentioned in dental textbooks. “Brush gently with a simple horizontal scrubbing motion, with the brush at a forty-five degree angle to get to the dental plaque. To avoid brushing too hard, hold the brush with a pencil grip rather than a fist. “The wide range of recommendations we found is likely due to the lack of strong evidence suggesting that one method is conclusively better than another. I advise my patients to focus their brushing on areas where plaque is most likely to collect — the biting surfaces and where the teeth and gums meet — and to use a gentle scrubbing motion. All too frequently I am asked why the method I am describing differs from how previous dentists have taught them in the past.